In a May 2016 blog post, Lindsay and John Cheesebrew weren't just sharing details of a collaboration they were working on. It was a way to share their commitment to food and the space that got them their start. The couple, who have been together for 15 years, have been doing “food together for a really long time,” John Cheesebrew says. And so, seven or eight years ago, he says, they started a blog – Bird + Cleaver. It was meant to be a place where they could write about food, share it with friends but keep themselves accountable, as well. But as it turned out, the space where they shared recipes such as Kimchi and Leek Noodles and Grilled Spice Chicken became a way for them to do food – together – the way they had wanted. The blog, which Cheesebrew says took off, turned into a way to do special events and catering. And now, likely in a few short weeks, it has turned into a brick-and-mortar restaurant. Bird & Cleaver Public House, at 1603 Wells St. in the Wells Street Corridor, is getting close, although Cheesebrew is mum on the target open date. The restaurant will be open for lunch and dinner Tuesday through Saturday and serve wine and beer. “The food philosophy is pretty simple – the food isn't fussy,” Cheesebrew says, adding that they work with as many local ingredients as possible. There will be sandwiches and salads and lots of vegetarian/vegan options, he says. The Cheesebrews are not vegetarian, but he says there is a need for vegetarian food that's not an afterthought. The restaurant will include animal proteins, as well. Photos on social media showcase sandwiches and desserts, toasts and salad. Diners will be able to sit in a main-floor dining room or outdoor patio. A dining room on the second floor will be reserved for private parties and special events. It's time for something new and to make room, Nick's Martini and Wine Bar will be closing Saturday. The spot at 1227 E. State Blvd. opened in 2015, after the Rib Room building was sold to Matt, Kurt and Chris Henry. The Henry brothers remodeled the building and opened the wine bar, which has been a place for live music, cocktails and appetizers. A post on Facebook with a photo saying “To Be Continued” promises that “as one chapter ends, another begins,” but there is no word on what the “next chapter” for the bar will be. A message left with the owners was not returned by this column's deadline. It appears the closing will not affect the operation of Sweet Lou's Pizza. The Chicago-style pizzeria operated by Lou Henry moved in after the closing of the Rib Room. A new brewery is set to open this summer, bringing craft beer to the city of Auburn. Founded by Josh and Emma Metcalf, Auburn Brewing Co. will be a part of the city's continued growth. Work is moving along at the 309 N. Main St. location, with plans showing a large outdoor space and brick facade. Antique items will likely adorn the inside of the brewery. Scotty's Brewhouse, a craft beer sports bar concept based in Indianapolis, is launching a national franchise program. Its restaurant on West Jefferson Boulevard is one of 17 corporate and managed locations. For information about franchise opportunities, including purchasing existing corporate locations, go to www.ownascottys.com or call 305-677-3330. 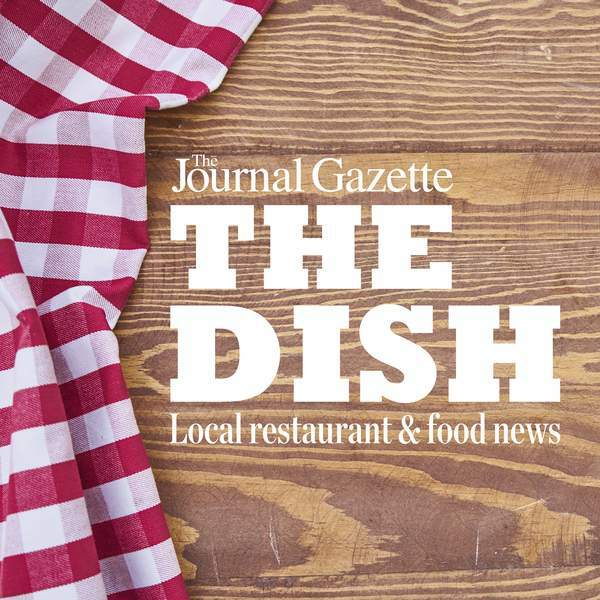 The Dish features restaurant news and food events and appears Wednesdays. Fax news items to 461-8893, email kdupps@jg.net or call 461-8304.